For the past week, Bitcoin had a sideways performance, ascending higher for the first half, only to give back all of the losses until the time of writing. However, we are still above the rising trend line we have talked about last week and we suspect bulls will return around it. 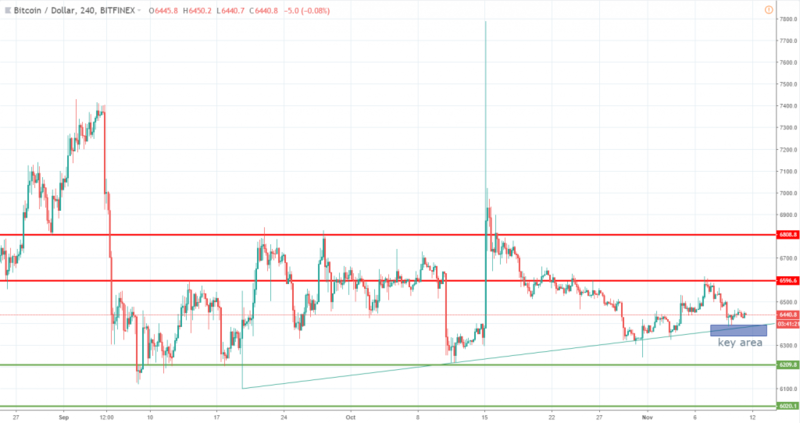 If that will be the case, we expect a new leg up to start unfolding, having the potential to drive the Bitcoin price towards 6,600, where sellers had emerged a few days ago. We maintain our bullish view and we still believe this kind of retracement lower is natural, given that we are still in the bottoming process. On the other hand, a strong break below our highlighted key area, will not be a good sign for bulls and further weakness towards the 6,200 level is doomed to follow. 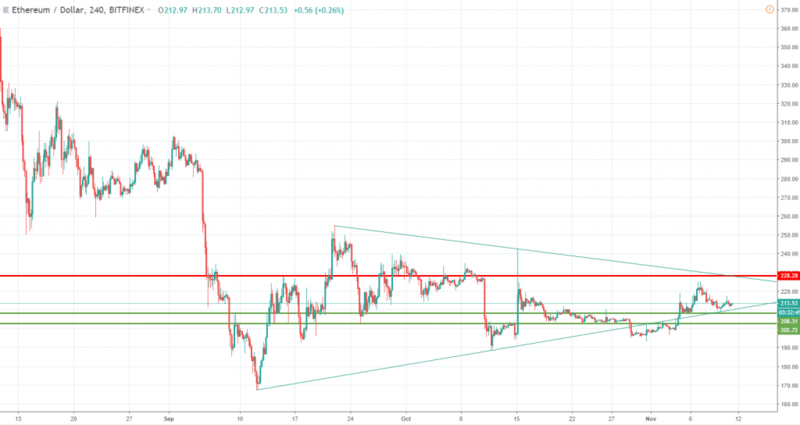 Despite retracing lower like Bitcoin, Ethereum managed to hold a good chunk of the gains and continues to trade inside a nice symmetrical triangle. The price action broke above the 208 resistance level and retested it, confirming that is now support and a potential entry point for buyers. 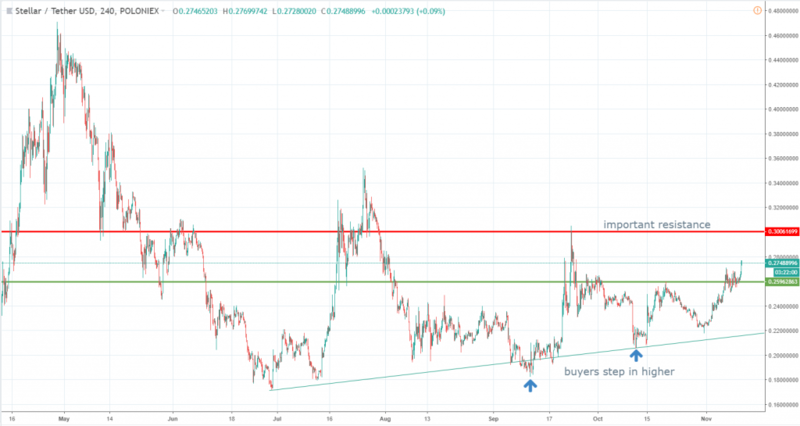 We expect the Ethereum price to fluctuate inside the triangle and head towards the upward line + 228 key resistance, given the current bullish momentum. In case weakness will prevail, the lower line of the triangle + the 208 support are expected to generate enough buying power to prevent a stronger breakout on the downside. Same as Bitcoin, Ethereum is in bottoming phase, so short-term pullbacks should not be a reason to scare but should be treated as new opportunities to get long at a much better price. 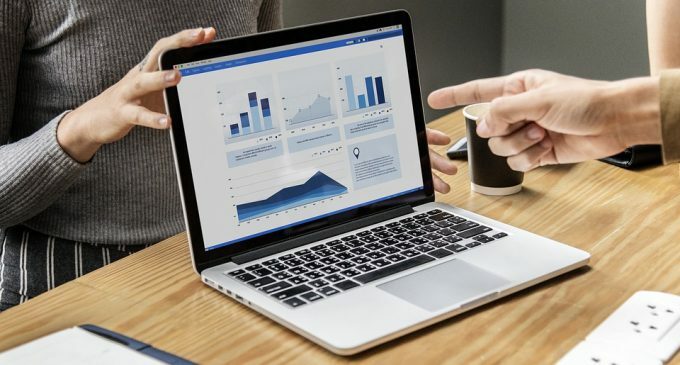 Despite a favorable seasonality, cryptocurrencies continue to perform poorly, and the recovery seems like it will take place more than anticipated. Stellar recently surpassed EOS and it is now the fifth largest cryptocurrency by market cap. Since the middle of October, the stellar price is up about 35%, being one of the best performing major cryptocurrencies. The order flow is clearly biased towards the upside and the interest to buy is strong. We see buyers emerged consistently at higher levels after each dip, resulting in a squeeze-type formation that will put the 0.30 key resistance level under heavy pressure in the future. The price action structure looks very good for buyers, which can wait for a pullback towards the 0.26 area in order to get long. Even though some further weakness could prevail, the long-term picture supports a stronger recovery on the upside, as long as we stay above the ascending trend line and those higher highs are not breached. For those of you wanting to invest in an active ICO, LakeDiamond will run its exclusive presale for the next 30 days. We have talked about the ICO in a previous article, and you can buy the tokens via the SwissQuote platform. In terms of upcoming ICOs, Healthbank will run its public offering starting from November 13th. It is a project that aims to revolutionize how personal health data is exchanged, stored and monetized.